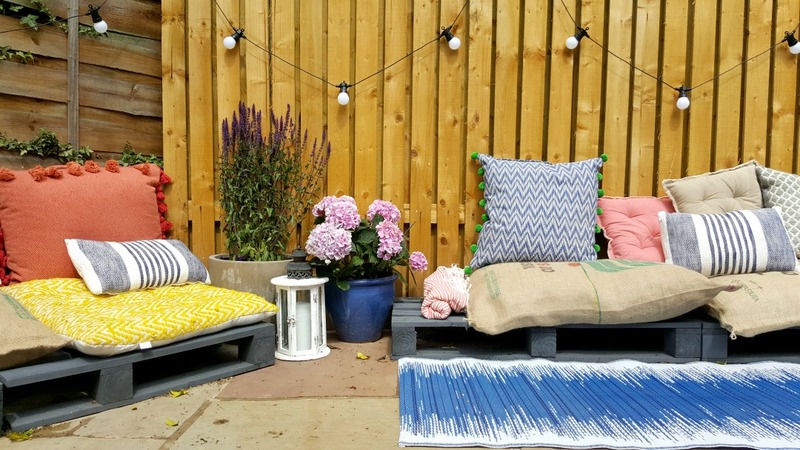 Since our garden became safe enough for the boys to play in, I’ve wanted to create a small area for us to relax in. 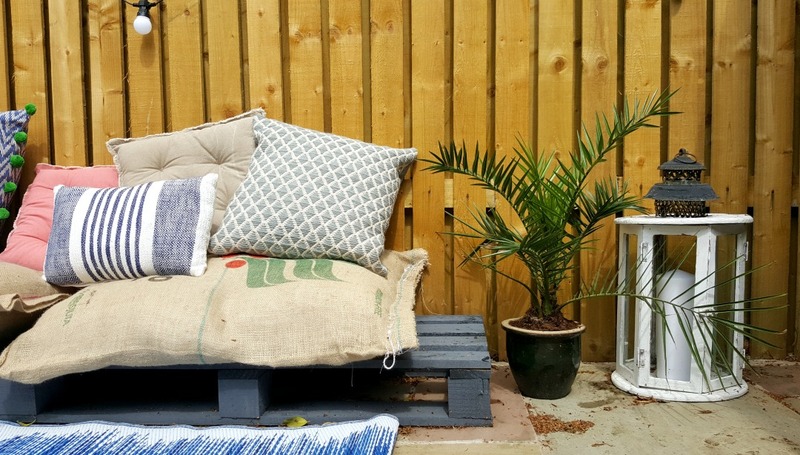 Our patio is small, and I didn’t want a table and chairs taking up all of the space, so I decided to get my hands on a few pallets and see what happened. I chose the layout and made a few amendments using a saw and some screws, then painted them dark grey. 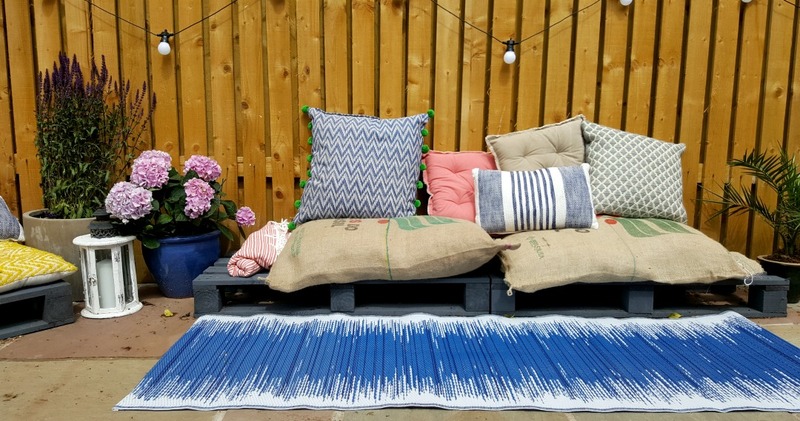 For now I have just added a few coffee sacks and cushions (I do want to add more). My mum gave me a pair of old lanterns a few years ago, and after a wash, a lick of paint, some gluing and sanding – I’m really happy with them. The large planters were £5 each at the end of last summer, and I love festoon lights. 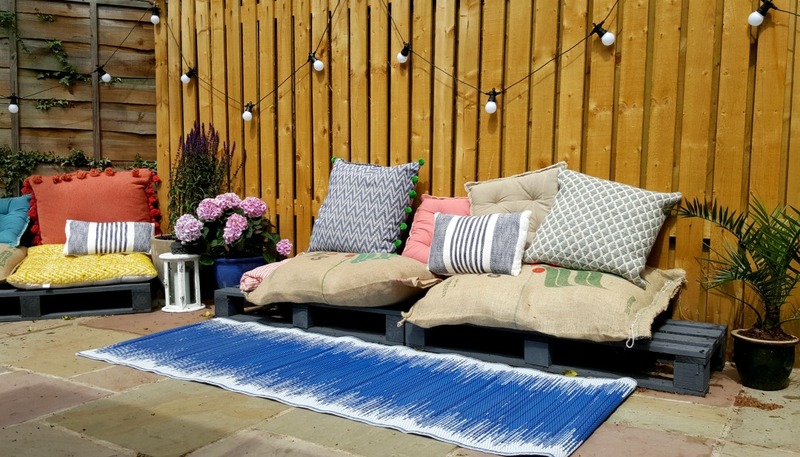 Every sunny day, Win takes it upon himself to get all of the cushions out of the shed and set up our cosy garden area. 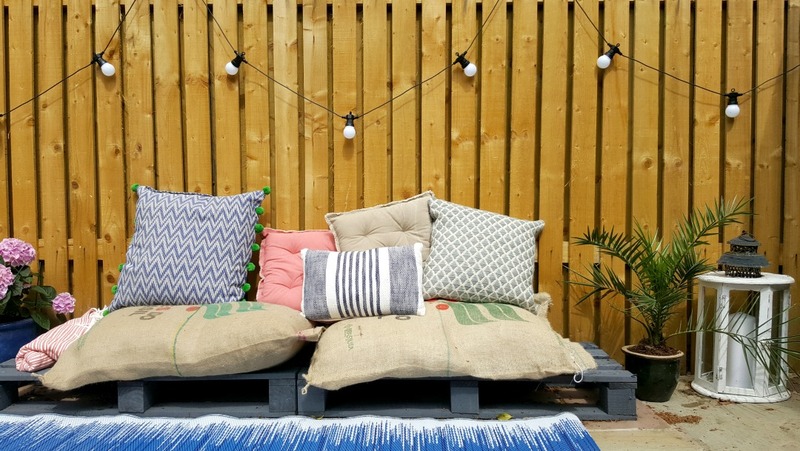 It’s really cute watching him decide where to place each cushion, and this is one of his set ups. It looks brilliant you clever thing! !